Internet Copyright - Read Before You Steal -- Авторское право в Интернете: прочти, прежде чем воровать! Copyright on the Internet. -- Международный Закон об авторском праве в Интернете. Касается всех, кто пользуется Интернетом, независимо от страны проживания. Berne Convention for the Protection of Literary and Artistic Work -- Бернская Конвенция об авторском праве на литературные и другие произведения искусства (подписанная в том числе и Россией). This is painted ion Sergey Alexeenko's handmade paper. -- Эта открытка нарисована на бумаге Серёжи Алексеенко. 皆さん、こんにちは。メリークリスマス、そして新年あけましておめでとうございます！ -- Hello, everyone! 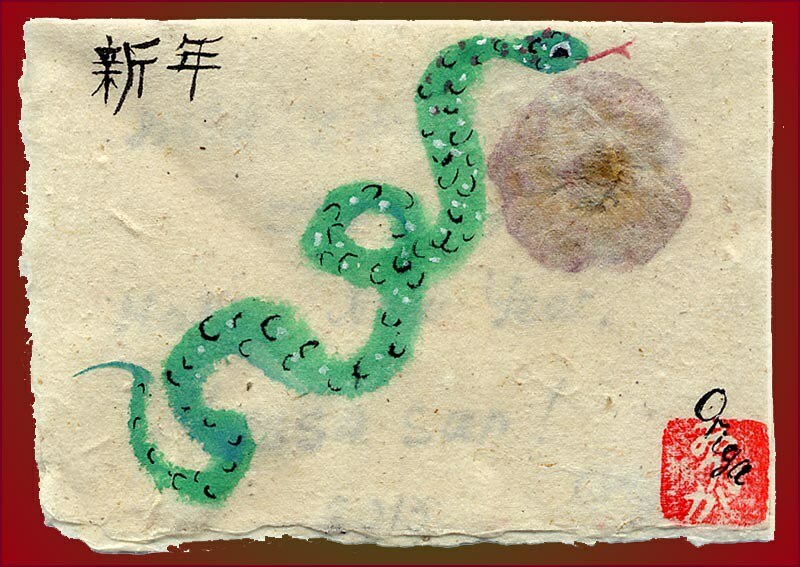 Merry Christmas to you, and a Happy New year of the Snake! -- Всем привет! С Рождеством вас, и наступающим Новым годом Змеи! これらは、私が今年作られたいくつかのクリスマスカードです。 -- These are some of ​​this year Christmas cards I made. -- Вот несколько открыток, нарисованных к этому Рождеству. 15th-Jun-2012 10:07 am - RESULTS of the XIV Calico Cat haiku contest. These are all the haiku in English and Russian. Some statistic, as always: 166 poems by 75 poets from 28 countries -- THANK YOU all, dear haiku friends! Please take your time to read all parts of the translations and discuss all the poems, choose your favorites, make new friends, and enjoy yourselves :) I'll add links to other parts at the bottom of this entry shortly, just click on them to go to the next part -- Вот переводы. Как всегда, статистика: 166 стиха от 75 поэтов из 28 стран -- СПАСИБО вам всем, друзья-хайдзины! Пожалуйста, читайте все части переводов, обсуждайте, выбирайте понравившиеся хайку, знакомьтесь и заводите новых друзей, и просто наслаждайтесь :) Тут внизу под переводами первой части я добавлю ссылки на остальные части. 31st-May-2012 07:54 pm - XIV Calico Cat haiku contest. -- XIV конкурс хайку Калико Кошка. Hortensia Anderson special Memorial edition. 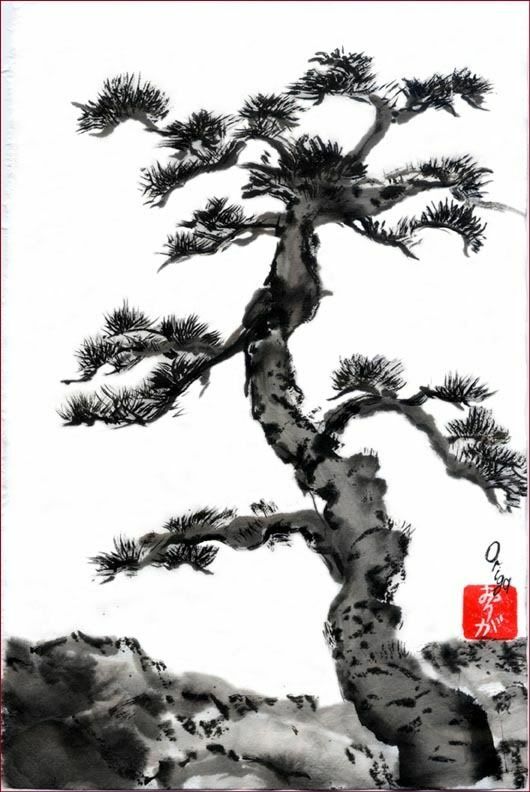 Anyone may participate in this contest by sending up to three unpublished haiku on the theme of my new sumi painting -- I named it "Moment of Eternity" (Sphinx and Shooting Star). Submit up to three haiku here in the LJ, right below this announcement, in the comments section. This contest is a blitz, hence you only have two days and two nights to submit. Your haiku should appear in the comments section of this LJ post no later than Saturday (June 2), before midnight EST (New York time). I will translate all the haiku, and place them here in a new post (the link will be posted here) for you to comment and discuss. Then, after about two days of discussion, I will announce the results. 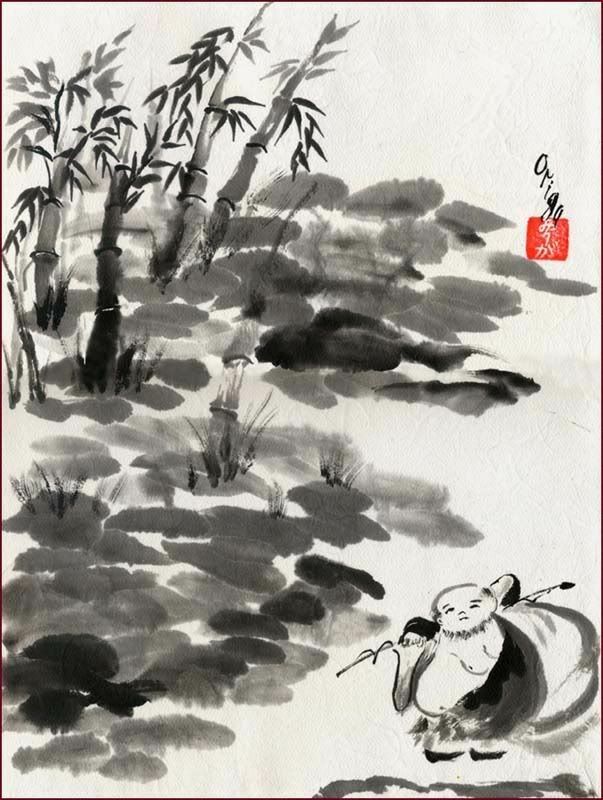 The First Prize winner will receive this painting: the original sumi-e on a rice paper, app. size 9 x 15 inches (23 x 38 cm). The Second and Third prize winners will also receive original sumi-e (of a smaller size) as prizes! Since all haiku will be translated in English and Russian both ways, you can read every haiku! The winning haiku will be also translated into Japanese! You are all welcome to discuss and comment on the haiku, when I post them in both languages for discussion. The contest is not anonymous, since I conduct it singlehandedly -- please add your name and country to your submission. We enjoy this contest for the love of haiku, and the only thing that counts is the quality of your haiku, not a "name". We are all fellow haijin on the Haiku Way! You may see previous contests by going to Calico Cat contest tag on the front page of this LJ. Our previous First prize winners were: Beverley George, Australia; Carlos Fleitas, Uruguay; Shanna Moore, Hawaii; Kirsty Karkow, USA; Valeria Simonova-Cecon, Italy; Kilmeny Niland, Australia and Petar Tchouhov, Bulgaria (tied); Robert Bauer, USA; Hana Nestieva, Israel; Bette Wappner, USA; Tanya Dikova, Israel; Beverley George, Australia; Darrell Lindsey, USA; Kyoko Shibata, Japan. It is summer here, but since shooting stars are kigo for autumn, the season in your haiku should be autumn (or, no season). Please write haiku on the theme "Moment of Eternity", using the painting as a source of images in your poem (one or more images from the painting must be present in haiku). Let us remember our beloved Hortensia, and enjoy the nature, and our friendly and unique haiku community! Please join us, and bring your friends! Spreading the word about contest is greatly appreciated. Good luck! 9th-Aug-2011 03:28 am - Results of the XIII Calico Cat International bilingual haiku contest. 6th-Aug-2011 12:04 pm - TRANSLATIONS, Part IV. -- Переводы, Часть IV. 6th-Aug-2011 03:43 am - TRANSLATIONS, Part III. -- Переводы, Часть III. ( TRANSLATIONS, Part IIICollapse ). 5th-Aug-2011 01:35 pm - TRANSLATIONS, Part II. -- Переводы, Часть II. 5th-Aug-2011 11:46 am - TRANSLATIONS, Part I. -- Переводы, Часть I. These are all the haiku in English and Russian. Some statistic, as always: 145 poems by 62 poets from 22 countries. A deliberately modest numbers this time as I am in time-trouble (Zeitnot) -- THANK YOU all, dear haiku friends! Please take your time to read the four parts of the translations and discuss all the poems, choose your favorites. I'll add links to other parts at the bottom of this entry, just click on them to go to the next part -- Вот переводы. Как всегда, статистика: 145 стихов от 62 поэтов из 22 стран. Этот скромный результат -- намеренный и ожидаемый, т.к. я в полном цейтонте сейчас. СПАСИБО вам всем, друзья-хайдзины! Пожалуйста, читайте все четыре части переводов, обсуждайте, выбирайте понравившиеся хайку... Тут внизу под переводами первой части я добавлю ссылки на остальные части. Dear fellow haijin! This is XIII Calico Cat haiku contest. This should be considered as the first contest in 2011, and the next one will be in December. Anyone may participate in this contest by sending up to three unpublished haiku on the theme of my new sumi painting -- I named it "Yearning for Freedom" (Mustang and Hot Air Balloon). Submit up to three haiku here in the LJ, right below this announcement, in the comments section. This contest is a blitz, hence you only have two days and two nights to submit. Your haiku should appear in the comments section of this LJ post no later than Wednesday (August 3), before midnight EST (New York time). I will translate all the haiku, and place them here in a new post (the link will be posted here) for you to comment and discuss. Then, after about two days of discussion, I will announce the results. The First Prize winner will receive this painting: the original sumi-e on a rice paper, app.. size 9 x 14 inches (23 x 35.5 cm). The Second and Third winners will also receive original sumi-e (of a smaller size) as prizes! Since all haiku will be translated in English and Russian both ways, you can read every haiku! You are all welcome to discuss and comment on the haiku, when I post them in both languages for discussion. The contest is not anonymous, since I am the only one conducting it -- please add your name and country to your submission. We enjoy this contest for the love of haiku, and the only thing that counts, is the quality of your haiku, not a "name". We are all fellow haijin on the Haiku Way! You may see previous contests by going to Calico Cat contest tag on the front page of this LJ. Our previous First prize winners were: Beverley George, Australia; Carlos Fleitas, Uruguay; Shanna Moore, Hawaii; Kirsty Karkow, USA; Valeria Simonova, Italy; Kilmeny Niland, Australia and Petar Tchouhov, Bulgaria (tied); Robert Bauer, USA; Hana Nestieva, Israel; Bette Wappner, USA; Tanya Dikova, Israel; Beverley George, Australia; Darrell Lindsey, USA. It is summer here, and the season of the painting could be spring / summer. Please write spring / summer haiku on the theme "Yearning for Freedom", using the painting as a source of images in your poem. 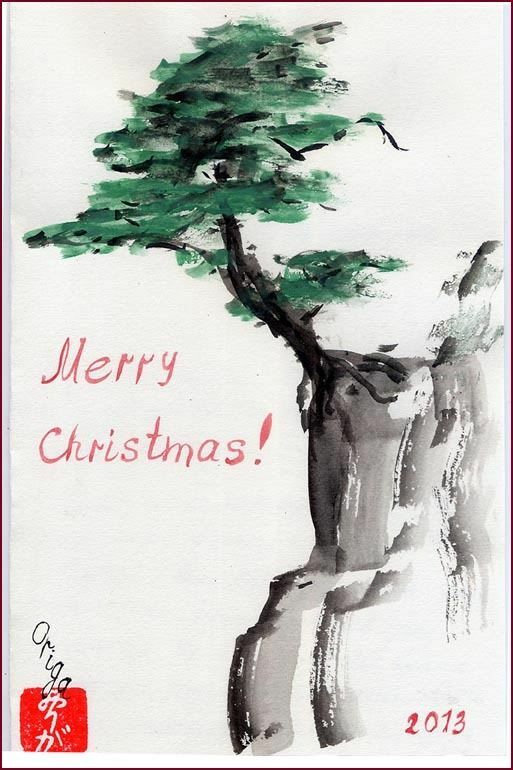 Let us enjoy ourselves and the season, the nature, and our friendly and unique haiku community! Please join us, and bring your friends with you! And your spreading the word is also greatly appreciated! Good luck! 30th-Jul-2011 11:25 pm - UPDATE on the book "Prayer for Japan. Trilingual Anthology." НОВОСТИ о работе над книгой "Молитва о Японии. Трёхъязычная антология." We are in the stage of translating & illustrating. Right now, 24 translators are working on the book, 20 of them are Japanese natives, and 4 other people translate from European languages. Total, more than 600 poems & art from poets of 51 (fifty one) countries, have been submitted: the book will include haiku, senryu, tanka, haibun, haiga, renku, and zappai -- both from adult poets and children. About 200 poems have been translated so far. And I am still looking for more Japanese translators, hence all such offers are very welcome! Previous UPDATE on the book (in my Facebook). 22nd-Apr-2011 02:06 am - Best haiku 2010 in Mainichi Daily News; Zazzle fundraiser; etc. ATTENTION : I am accepting submissions for the book "Prayer for Japan" until the end of April. It will be a beautiful book! ВНИМАНИЕ : Стихи и хайга для книги "Молитва о Японии" принимаются до конца апреля. Это будет красивая книга! 13th-Apr-2011 03:46 am - News and Announcements. -- Новости и объявления. More than 120 poets from 40 countries have already submitted haiku and other Japanese form poetry and art for the book "Prayer for Japan" -- this illustrated in sumi-e style book in full color and in three languages (English - Japanese - Russian) will be published by Kankodori Press, and distributed in Japan, first of all in the disaster areas (as well as available for purchase by anyone). The deadline is approximate, somewhere before April 20-21, but may be extended a little. If you want to join us, please post your poems right here, as a comment. You may read many beautiful works submitted in the original post where the idea of the book first came out. Thank you, dear friends. -- Более 120 поэтов из 40 стран уже прислали свои хайку и другие стихи и графику в традиционных японских формах для готовящейся книги "Молитва о Японии". Эта иллюстрированная в стиле суми-е книга, цветная, на трёх языках (английский - японский - русский) выйдет в издательстве Канкодори Пресс, и будет разослана в библиотеки Японии, прежде всего в пострадавших районах (а также появится в свободной продаже). Срок присылки работ приблизительно до 20-21 апреля, может быть немножко продлён. Желающие присоединиться к этой акции, присылайте свои работы комментарием в этот пост. Множество уже присланных прекрасных работ можно увидеть, если зайти в первоначальный пост, в котором и возникла идея этой книги. Спасибо всем! ( MORE FUN NEWS !...Collapse ).